Savvy Spending: Calling all Small Business Owners! Sign up for a Small Business Saturday Event kit! Calling all Small Business Owners! 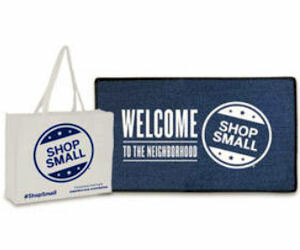 Sign up for a Small Business Saturday Event kit! If you're a small business owner, you can sign up for a Free American Express Small Business Saturday Kit! Take part in this year's American Express Small Business Saturday Event and get a free kit when you sign up by November 11th! Each kit includes a ton of free Shop Small merchandise to support your community event. Items included in previous kits have included free reusable totes, pins, welcome mats, flags, balloons and more!